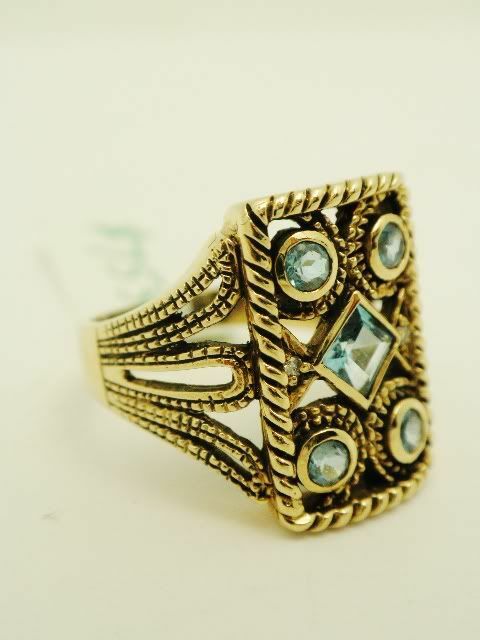 English 10K blue topaz ring. 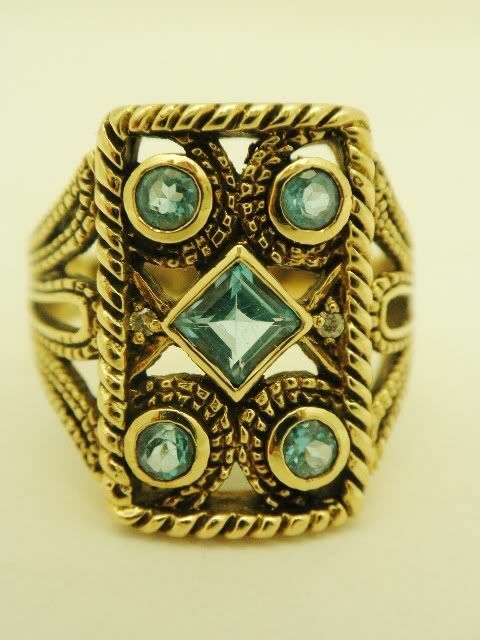 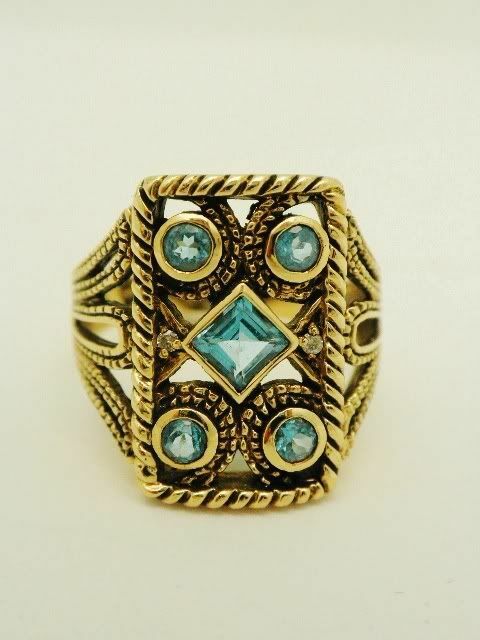 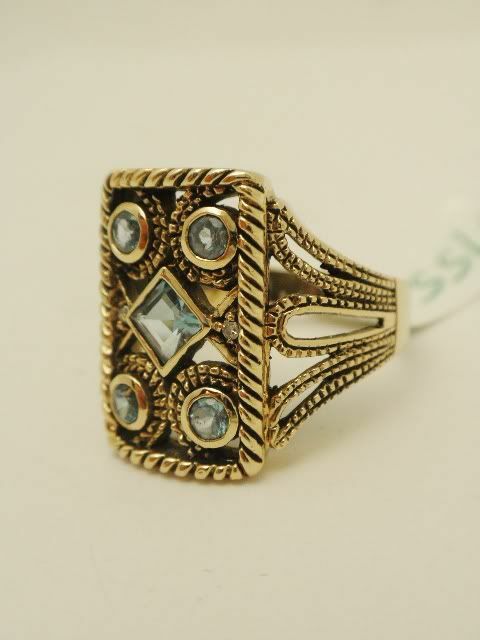 The ring is securely bezel set with 5 genuine brilliant blue topaz. 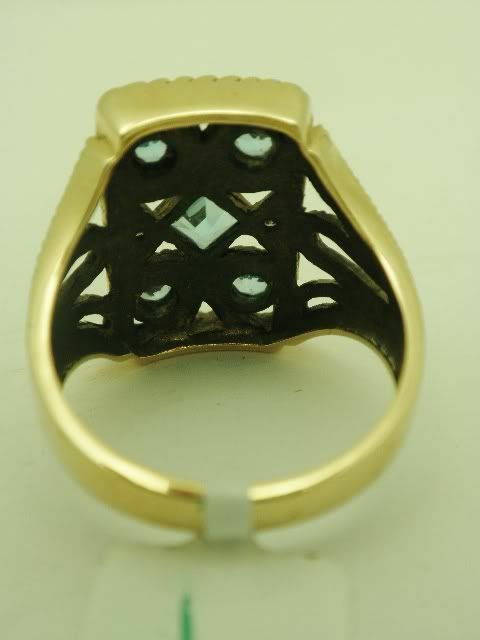 The mounting measures 3/4" wide by 3/4" long with a 4mm projection. 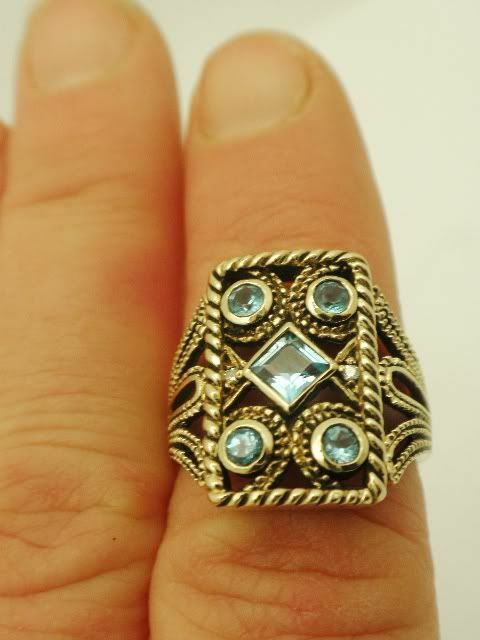 The ring weighs 5.7 grams and is currently a finger size of 7 and can be custom sized by our in house jeweler for an added cost.